Send your congratulations in style with this bright and sunny bouquet. We've carefully hand-tied a selection of white lilies and germini and added radiant yellow roses for a perfect contrast. Tiny white gypsophila flowers give this gift an extra touch of magic. 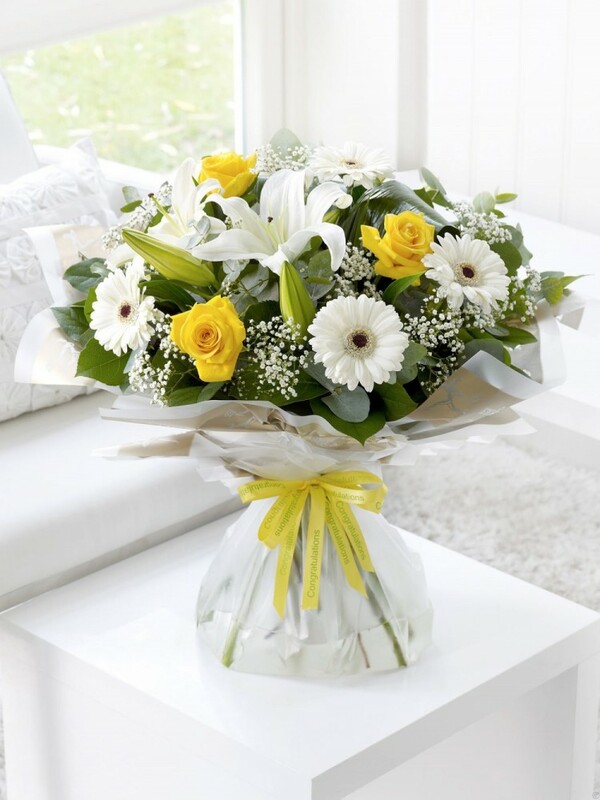 Featuring white germini, yellow large-headed roses, white Oriental lilies and white gypsophila, hand-tied with folded aspidistra leaves, eucalyptus and salal, wrapped and trimmed with yellow ‘Congratulations' ribbon presented in Interflora Gift Packaging.